Kanha Tiger Reserve popularly known as Kanha National Park is one among the many tiger reserves of India and is considered as the largest National Park of Madhya Pradesh with an extension of over 1,940-sq-kms. Kanha was divided into two sanctuaries in 1930s, Hallon (250 km²) and Banjar (300 km²). On 1 June 1955 Kanha National Park was established. 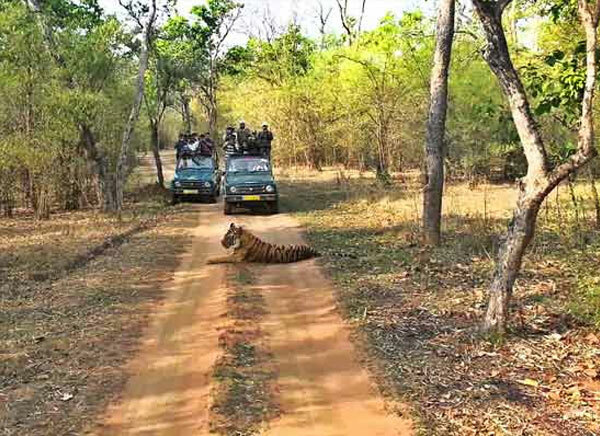 The Kanha Tiger Reserve was made in the year 1973. It covers an area of 940 km² and lies in the two districts of Mandla and Balaghat in Madhya Pradesh. Kanha Tiger Reserve is formed including the 1,067 km² of its surrounding buffer zone along with the neighboring Phen Sanctuary of 110 km². Therefore, it is considered as the largest National Park in Central India. 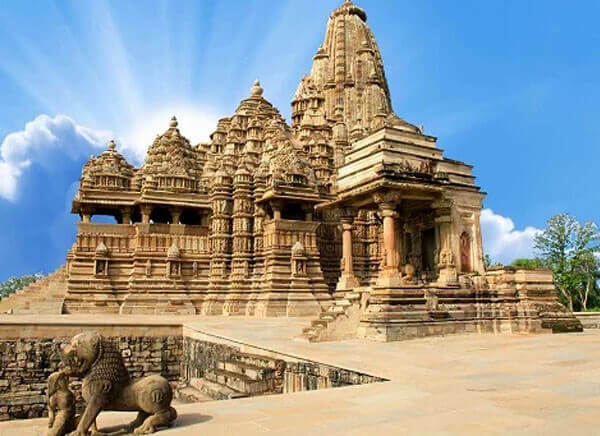 Not only this, it has been listed in the top 10 Famous Tourist spots of India. The park is a home to major population of Royal Bengal Tiger, sloth bear, leopards, Indian wild dog and Barasingha. The worldwide unforgettable classic Jungle Book was the result of the inspiration to Rudyard Kipling which he gathered from the lush green forests of sal and bamboo, green meadows and ravines or gorge of Kanha. Kanha National Park is famous for its vividness in nature. It is a home to more than 200 species of flowering plants and over 70 species of trees. The low land forests of Kanha National Park have a blend of Sal, other forest trees along with meadows. The moderate climate results into rich flora of the Park. Only bamboos and dry deciduous type of vegetation like Indian Ghost Tree or Kullu can be found in the highland forests of Kanha as the weather remains tropically moist. The majorly found floras in Kanha Reserve include Sal, Lendia, Saja, Tendu, Palas, Mahua, Dhawa, Bija, Achar, Aonla and Bamboo. Varied species of climbers can also be seen here like forbs and grass. Some aquatic plants are also considered as remarkable features of Kanha National Park found in abundance in lakes which the migratory birds and birds of wetland loves to feed on. Under the MP Forestry Project some eco-development processes to preserve the flora of Kanha National Park. The Reserve Management along with 106 Eco-Development Committees in the buffer zone and 25 in the core zone). The not so important villages in the surroundings are also becoming the helpful parts of it. Under the forest zones, the productivity of the resources are protected, regenerated and enhanced by the eco-development committees to arrange fodder, timber, fuel wood and MFP by obtaining villagers’ security gathered for the resources. To generate incomes, the EDCs also promote activities associated to the non-forest resources. Besides, it takes initiatives to remove the obstructions between the forest and other sectors. 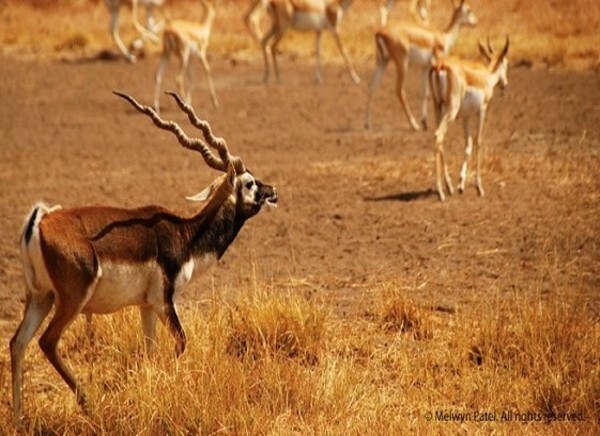 A visit to Kanha National Park will give you the glimpses of numerous endangered species of wildlife such as tiger, gaur, bison, and varied species of deer like chital, sambhar, barasingha, barking deer, black buck, black deer and mouse deer. Other animals like chousingha, nilgai, sloth bear, leopard, tiger, hyena, jackal fox, python, porcupine, jungle cat, pea fowl, monkey, hare and mongoose. The park is also known for the varied species of birds found there like pintails, storks, pond herons, teals, egrets, pea fowl, spur fowl, jungle fowl, partridges, ring doves, peacock, spotted parakeets, rock pigeons, green pigeons, quails, cuckoos, papihas, kingfishers, bee-eater, fly catchers, hoopoes, rollers, drongos, warblers, finches, woodpeckers, orioles and owls. The unique species of animals like barasingha or swamp deer represents the distinctive wilderness of Kanha National Park. The barasinghas inhabit the large open grass zone amidst the bamboo and teak forests. The barasinghas were about to extinct twenty years ago, but they have been saved from the ferocious animals through effective measures like fencing. Thus, the rutting calls of barasinghas echo in the surroundings of Kanha National Park. The park also has a museum that depicts the happenings, features and activities of the park and tribal culture. The museum remains closed on Wednesdays. Kanha enjoys a tropical climate. Summers remain hot and humid with a high of 40.6°C and a low temperature of 23.9°C. The weather remains pleasant in winters with a varying temperature of 23.9°C and 11.1°C. Kanha receives an annual average rainfall of 152 cm. The best time to visit Kanha national park is from Mid October to the end of June. During monsoon season, from July to Mid-October the park remains closed. Kanha National Park offers unmatched options like jeep safari, elephant safari and nature trails and cycling for the tourists to begin their trip into the forest. An Elephant safari organized by the forest department can be taken as a joy ride for an hour or for an excursion of half-day (4 hours). Patrolling the park is the main duty of the elephants and they also work for conservation. You need to get the reservation done on arrival. The best way to explore the exotic wildlife and backwoods of Kanha National Park is through Jeep Safari. 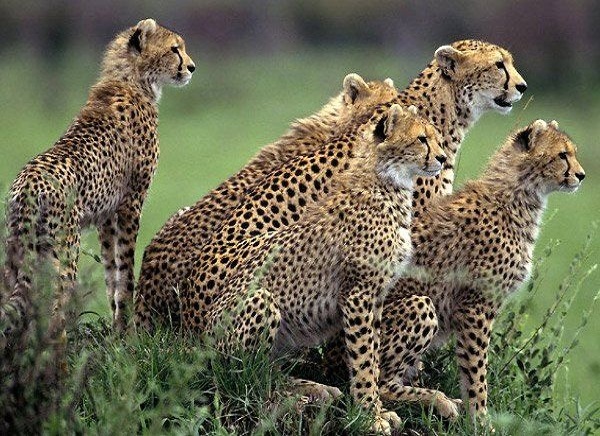 Safaris conducted by wildlife expert can be enjoyed twice in a day either early morning or late afternoon. To give an enhanced experience of safari, it will be arranged in an open 4x4 Suzuki jeep with specially fitted front-facing and elevated seats. You can enjoy the jeep safari in Kanha from sunrise till 11:00am and till sunset from the late afternoon. Entry to the park is allowed only after sunrise and exit before sunset. The entrance timings differ with the change of season. The major attractions of Kanha National Park include Kanha Meadows, Shravan Tal, Bahamani Banjar and the Interpretation Centre. Leisurely walks for bird-watching through the attractive path in between the woods of the park. Cycling can also be arranged by the naturalists of the forest lodge on request. Lakes within the park, Gond tribal homes and the Banjaar River can be visited during the excursion. In the evening from 3:00 PM to 6:00 PM. Being situated in Madhya Pradesh, Central India, Kanha National Park has good network of transportation in terms of Air, Rail & Road. The two major entrance locations of Kanha National park are Khatia Entrance gate & Mukki Entrance gate. The former lies on Mandla district & the later on Balaghat district of Madhya Pradesh. To explore Kanha, Kisli & Sarhi zones one has to enter through the Khatia Entrance gate, which is well connected to the major cities of Jabalpur and Nagpur. Whereas, the Mukki range of the park is covered through the Mukki entrance gate connecting from Jabalpur, Raipur & Nagpur. Airways : Kanha National Park is easily accessible from all the major cities of the world through Airways. The Nearest Airport from the Park are Jabalpur (160 Km), Raipur (250 Km) and Nagpur (300 Km). Railways : Gondia and Jabalpur are the two nearest railway head from Kanha National Park. Gondia Railway Station is located at a distance of 145km and it takes 3 hrs drive from Kanha. 160 Km away from Kanha is Jabalpur Railway Station and it takes a drive of 4 hrs drive. Roadways : Kanha National Park has a good connectivity of roadways. It connects the major cities of Madhya Pradesh, Chhattisgarh and Maharashtra. Public and private buses are operated within the city connecting the nearby cities. In central India, the barasingha has disappeared from all but Kanha National Park. From an estimated three thousand in the early fifties, within a decade, less than a hundred survived. In 1970 the number touched an all time low of 66. Concerted efforts at saving this species have led to the count crossing the five hundred mark. This species of Barasingha known as Cervus duvauceli branderi is found only in Kanha National Park and nowhere else in the world, and is named after Dunbar-Brander who was a forest officer in the region in the early 1900s. Dr. George Schaller, wildlife behaviorist, world famous author and conservationist, was the first person to conduct a comprehensive scientific research on tigers, and the place he choose for doing his research was Kanha National Park. The result of his work was the book - The Deer and the Tiger, A Study of Wildlife in India (1967). Once a tiger cub chased a tracker who managed to scramble up a tree. The cub kept charging at the tree trying to get at him. Even as this drama was being enacted, there was a tiger call. The tracker was startled to see a large tigress with two more cubs. He thought his end had come. Instead, the mother was calling to the cub. In 1976 there was an outbreak of rinderpest which lead to the deaths of 52 gaur, 8 sambar and 35 chital. The Bedi brothers had shot the wildlife movie "Saving the Tiger" in Kanha. Belinda Wright and Sranley Breeden had shot part of the movie "Land of the Tiger" in Kanha - this was a movie made for National Geographic.Wildlife cinematographer Chip Houseman spent more than two years making a movie called " Tigers of Kanha," which was aired as a National Geographic Television Special in 1999. During his tenure with the tigers of Kanha, he developed a strong passion for their conservation. He had planned to return to India to learn what steps could be taken to ensure the tiger's survival in the wild, but his untimely death in an airplane crash cut short his dreams. Forest Rangers Hamil Singh Patavi and Sahadev in January 2004 were given bravery awards by WWF for their commitment to conservation. One day while on patrol in Kanha National Park, Hamil Singh was pounced on by a tiger cub. He fell down to the ground bleeding profusely. Sahadev who was with Hamil quickly picked him up and put him on his cycle, all the while shouting at the cub. 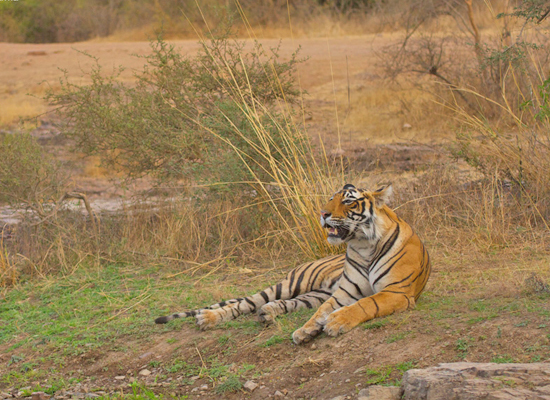 In the meanwhile the tiger cub was joined by another, and both the cubs growling followed them for nearly 200 metres. The cubs got distracted when Sahadev threw Hamil's bloodstained trousers on the ground, enabling the human duo to escape. WWF is working to create a corridor between Kanha National Park and Achankamar Wildlife Sanctuary, some 60 km away so that the tigers of Kanha have space to move. This is necessary to maintain long-term genetic viability. The task is easier said than done - some 28,000 people in 55 villages live along the Kanha-Achankamar corridor. Together with local partners WWF is working in seven villages closest to the corridor to help reduce people's dependency on the forest. In March 2005, ten wild dogs were found dead in the buffer zone of Kanha. Cause of death is not known. In the year 1879 Kanha National Park was declared as a reserve forest. 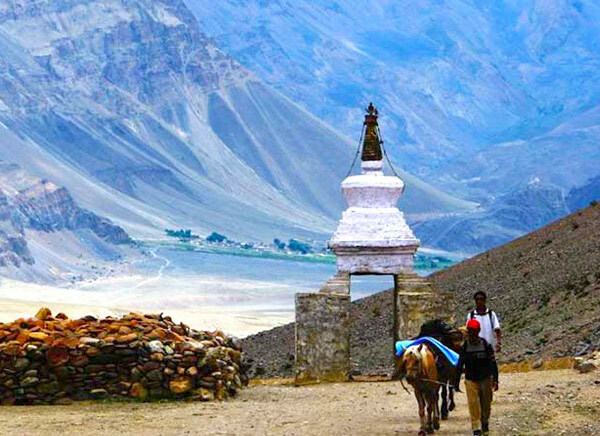 It was renamed as the Banjar Valley Sanctuary in 1935. Two wildlife sanctuaries called Hallon and Banjar (are the two river valley situated on Maikal mountain ranges of Satpura hills in Central India) were there before Kanha National Park was created in 1953. In 1960 about 27 villages relocated out of the core zone of the park. It was in 1970, when the boundaries of Kanha National Park were extended including Mukki valley as a part of the park and in 1974 Hallon valley was also included. Phen Wildlife Sanctuary which was a part of Motinala range (under former South Mandla Territorial Division) became a part of Kanha National Park in the year 1983. Under the management of Kanha National Park a buffer zone was constituted in 1995. Kanha was originated from the Gondwana - “Land of Gonds”. The Gonds and the Baigas were the two native tribes of Central India that inhabited the forests. They practiced shifting cultivation for their livelihood and feed on forest produce. You can find the majority of these tribes in the surrounding villages of Kanha National Parks.